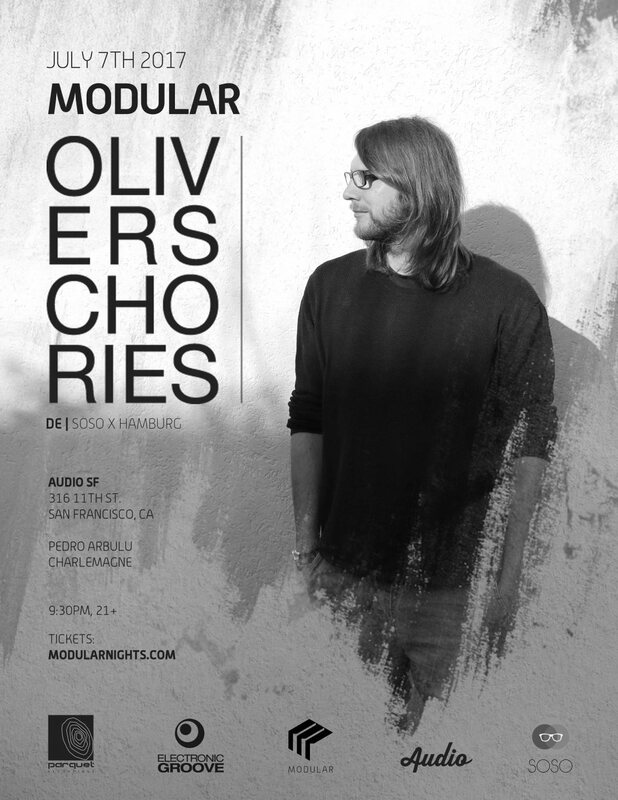 Among the latest wave of promising producers with a penchant for deep and emotive techno is Hamburg-based Oliver Schories. What started as 2012s one-to-watch artists and a new favorite for clubbers who like their techno grooves organic and melodic, with thick fuzzy synthesizers, reverb fx, powerful drum patterns and lots and lots of emotion emerged to one of the most booked DJs and Live-Acts of Germany. After a string of releases for labels such as Kollektiv Turmstrasse’s Musik Gewinnt Freude, Parquet Recordings and his own started own imprint “der turnbeutel” (releases & Remixes from Joris Delacroix, Dan Caster, AKA AKA, Lexer, Rodriguez Jr, Daso, Einmusik, Wankelmut, Rampue, Fairmont,etc. ), his second Album „Exit“ was released in March 2013. Followed by a series of high class remixes on Labels such as Stil vor Talent Katermukke and Get Physical, an EP on Noir Music was the closing highlight of 2013. Charted and supported by Jamie Jones and a number of other internationally recognized DJs and producers he started his second imprint called „SOSO“ in early 2014 with his brand new EP called „The Soulwalker“, followed by a number of top class releases throughoutnthe year. 2014 was the most busy and successful year for Oliver. With remixes and collaborations for and with The Acid, Thomas Schumacher, Joris Delacroix, Stereo Express & AKA AKA and Dan Caster („Nouvelle Future“) he delivered as well the best selling Beatport track for Oliver Koletzkis’No 1- votel label „Stil vor Talent. In late autumn 2014 he released his teaser-EP „Noise Ball“, a massive 8-track EP with remixes from Format:B and more as a glimpse for his third longplayer „Fields without Fences“ – due in March 2015.